Common Plant Species – Official website of Anandvan Mitra Mandal , Registered office Pune,Maharashtra. Teak :most sought-after in furniture making and household uses for close to a millenium, teak predominantly grows in the southwestern parts of peninsular India and is a deciduous specie. If you ever get to see it in the monsoons, teak forests turn bright green due to its huge leaves which measure anywhere between 40-50 cms in length and 20 cms in width and cover the whole tree from top to bottom. And these trees are quite tall making the cover all the more thicker. In the autumn and winter months, the leaves start to shed and entire forests turn orange to brown with a thick layer of leaves at the floor of the forest. Teak forests due to its dense foliage and impenetrability are the perfect grounds for wild animals such as Gaur, Tigers, Antelope, Elephants etc. 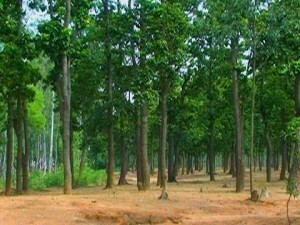 In India, it was the English who started to first harvest entire forests of teak to support their need for wood. Today these have been convered into Sanctuaries and Reserve forests. Saal : A common specie which came into prominence due to its sheer strength and durability even under extreme stress is saal. At the time of India’s independence, Saal was extensively used by the railways to carve out sleepers for the tracks which was one reason its numbers dwindled drastically and could never keep-up with times. Found mostly in the North-eastern region, Saal forests can be found as far as Madhya Pradesh, Chattisgarh and Odisha. It too has large shiny and moist leaves measuring a foot in length and 6” in width. The thick leaves make it ever-green with the forests remaining shiny, deep green through-out the year. Wildlife is abundant in Saal forests with mammals, birds and reptiles making it their home. 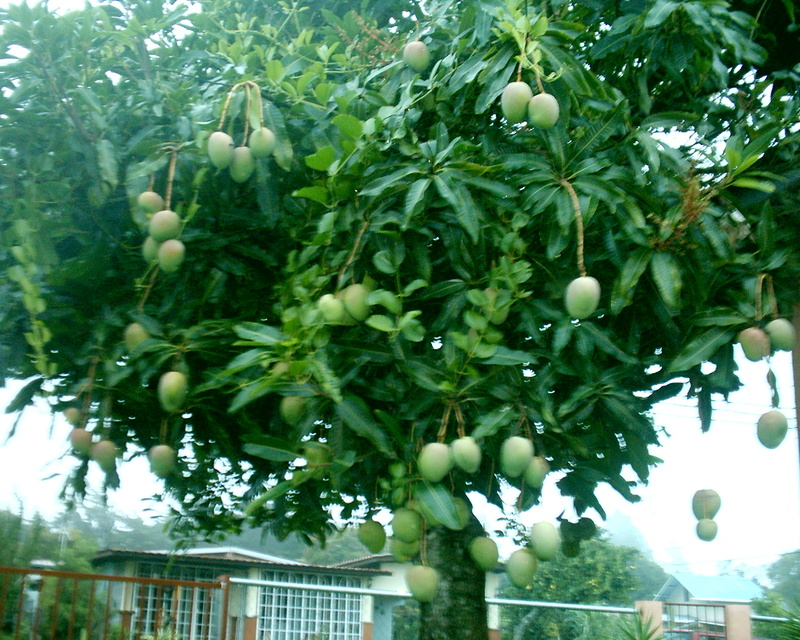 Mango: These are now grown in orchards under controlled conditions and environment to get the best produce. Its wilder cousins are to be found in the forests of central and southern India and grow to formidable sizes which include upto 50-60 feet in height. In the absence of other kinds of wood, the mango tree too give fairly good timber. 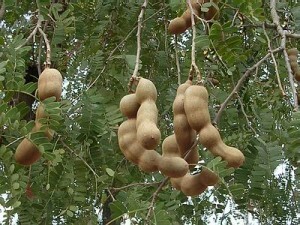 Its fruit is eaten by humans, primates and wild animals in the forest like monkeys, deer etc. The leaves of this tree are shiny and evergreen with no single season for its falling and sprouting. Mango forests are home to a large number of wild animals like tigers, lions, bisons, deer, antelope beside all manner of reptiles and insects. 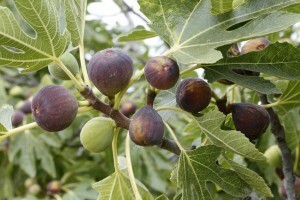 Figs (Ficus): To most Indians the word Ficus or Figs would be of little interest unless it is associated with trees such as Banyan, Peepul, Anjeer etc. 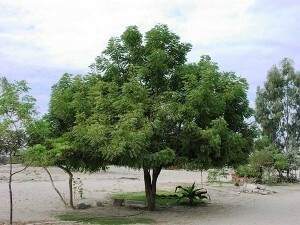 These trees are highly revered in India and are considered the incarnation of the Almighty. Entire temples sometimes come up around these trees! As regards its ecological importance in forests, it lies in the fact that the berries and fruits of these trees which grow throughout the year are a source of nutrition to wild herbivores which reside in these forests. 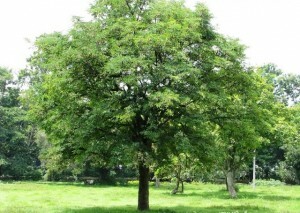 Besides, given the root structure of these trees, they are quite sturdy and resilient. Additionally, these are also the perfect breeding grounds for a variety of small rodents, birds and other similar lives in the forest. Neem: If you are a native India, the word need you get to hear pretty early on in life which goes on to show how important it is to our lives despite all the trappings of modernity and mechanization! 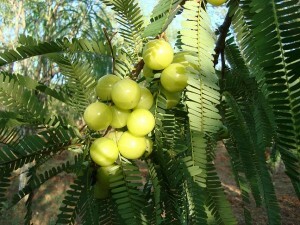 Its bitter berries and leaves are used extensively in indigenous medicines and so too are its stems which even in the present day are used for oral hygiene. 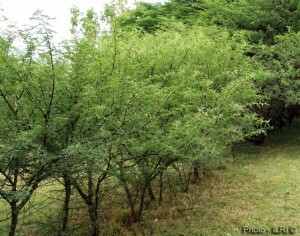 The neem tree does not need much in the name of resources to grow and is thus a favourite in semi-arid regions of India right from the Thar to the Deccan Plateau. Tamrind: The taste of “imli” is the taste of India! We put it anything and everything to get it its distinctive tangy taste. The black sticky tangy mush we use in food starts off as a green horse-shoe shaped fruit which when ripe turns brown with the top hard cover coming off easily revealing the black mush and seeds inside. 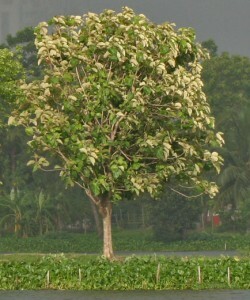 Essentially a tree growing in the wild, it has been domesticated due to commercial considerations. The tree grows immensely in size reaching over 50 feet in height with an impressive canopy of very small leaves. Given its immense size, fuel wood and timber too is available in abundance from these trees. Being a growth of the wild, it does not take much in the name of resources and grows practically everywhere in India other than the Himalayas. Babool: If you ever had the chance to venture into the drylands of India which are mainly in the North-West and Deccan, you would find it hard to miss this one tree. Given that it is a wild growth with hardly anything that can be said of beauty, it is mostly found in open barren lands where they start life as a shrub and with time acquire a thick central trunk and branches that sprout very small leaves and abundance of thick, straight thorns. It is these thorns that help the tree stay alive as it wards off most grazing animals from over grazing. The tree sprouts small seed pods with multiple seeds which when dry disperse on the ground giving rise to further trees. Sanctuaries in Rajasthan and places in Deccan have acres up on acres of these trees growing wild and despite very limited moisture, make a formidable forest cover. 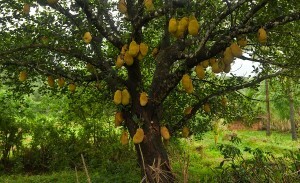 Jackfruit: Most Indian villages in the plains including the Deccan have them in abundance. The trees have thick, shiny leaves which are evergreen. Its fruits which in most cases are not many on a single tree, grow direcly from the branches and trunk. What differentiates these fruits from all others is that they are in most cases huge- upto 4’ in some cases! The seeds which are inside the fruit are numerous and surrounded by a layer of edible yellow-orange coloured mush which when ripe is quite delicious to eat raw. The raw fruit too is cooked and eaten though the process of cutting the same is quite tedious. As regards the tree, it grows close to 30-40 feet in height and provides wood for all uses like fuel, furniture and household uses etc. As regards furniture, wood from a jackfruit tree is always deep yellow in color- almost as though a separate layer of polish has been added to create the effect. Gooseberry: Our grandparents keep singing paean of this one from the time that we are old enough to differentiate between tasty and nutritious foods! Any why not?? It is one of the richest sources of Vitamin C. With nature providing the seeds nutrition, it can grow anywhere other than the Himalayas. The tree isn’t anything exceptional in size but its hardy nature and benevolent fruits more than make up.